Driving in India is always an adventure and the first few minutes in the car will surely confirm that you are not in Illinois anymore. Our friends Anusha and Barath had arranged for a driver for us and for good reason, because the Indian style of driving is absolutely best left to the professionals. Once out the city and on the Indian “highway” you will notice that no one drives on their side of the road because there is always a need to pass something or other. Maybe because the roads are shared modes of transit including cars, trucks, busses, cows, dogs and humans. My brother the safety guy would have blown a gasket with the regular “close calls” of near death on the road. 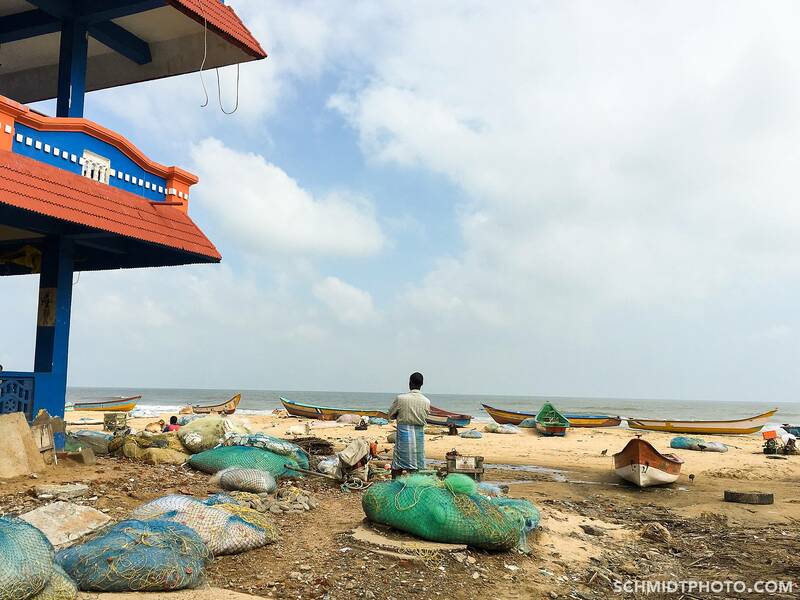 But we made it alive to the first stop on our South Indian tour: Mahabalipuram, The Underwater City. As we got the area there were a number of people that approached the car wanting to give us a personal tour of the area. 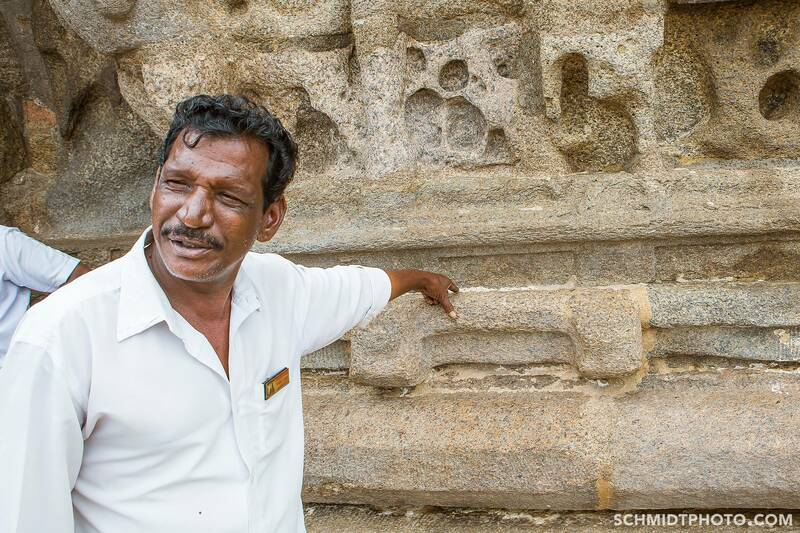 We felt that it may be a scam, but found one man that agreed to a somewhat reasonable rate so we agreed, parked the car and went for a walk around the area to learn about the Underwater city of Mahabalipuram. The story goes something like this: A King built the great monuments, then the sand covered it long ago, and then a number of years ago it was dug up and is still there today. 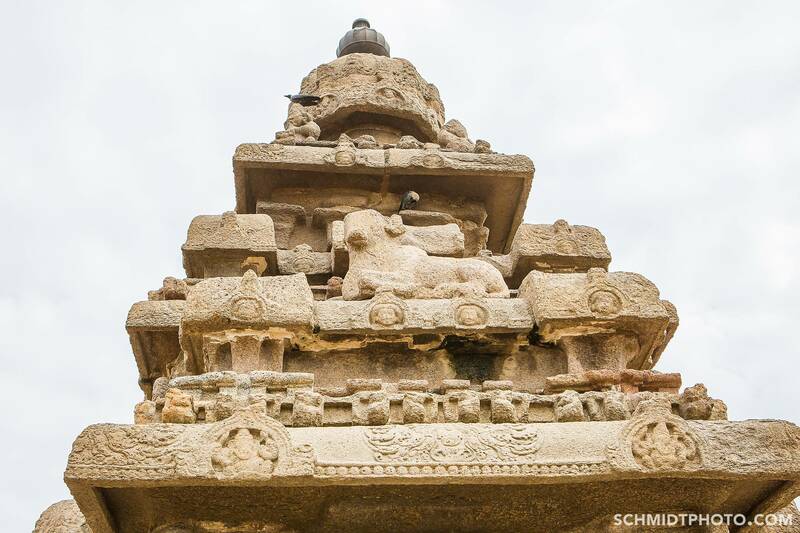 The sculptures and and structures are quite cool and VERY OLD.